Everlast PowerPro 164 Si is user-friendly, durable and compact plasma cutter offering you reliability in your shop or garage. Now, let’s start our detailed review of this plasma cutter! It provides state-of-the-art welding reliability and performance through the use of latest IGBT technology. 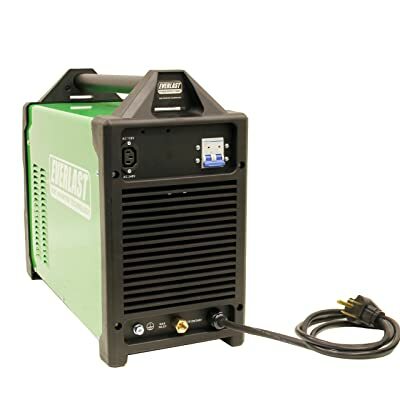 With a sturdy casing, this plasma cutter will withstand all harsh environments. It’s one of the highly rated plasma cutters, and customers say the machine is easy to use. The Everlast PowerPro 164si plasma cutter features powerful TIG welding and plasma cutting features. You can use it to improve productivity in your garage because it has easy to use controls. The Everlast 164si features high duty cycle at rated amperages for plasma, stick, and Plasma. An overcurrent indicator warns you when the duty cycle is exceeded. It’s designed for continuous use in a busy environment. An inverter design makes this plasma cutter power efficient with a power rating of 110v and 220v. You can run this machine on 220v for 40 amp breaker or on 110v for 30 amp breaker. This welder can be used with a generator, so you won’t worry in case of power failure. However, this Everlast 164si needs a minimum of 10,000 watts of continuous output. 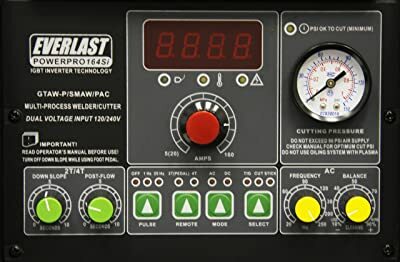 If you have a higher output generator in your garage or shop, you can connect this plasma generator without any worries. This Everlast PowerPro 164 Si can be used to cut on virtually any metal making it great for professional use. 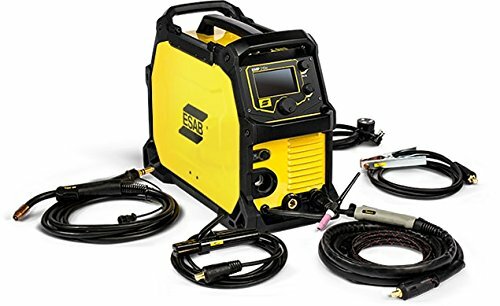 Welders can use this Everlast 164si for a majority of fabrication tasks that require cutting on steel, aluminum, and other metals. You can weld almost any metal with this plasma cutter because it’s highly versatile. The manufacturer claims this cutter can make cuts up to 3/16″, but customers say it they have cut 1/8″ so far. This Everlast plasma cutter offers great versatility with exceptional arc stability for stick/TIC functions. Last but not least, the Everlast model has a compact design and a smaller footprint compared to similar plasma cutters. A lightweight design makes it portable so you can move it around the garage for different tasks. Moreover, the manufacturer describes this machine as an all-in-one-portability. This Everlast plasma cutter weighs only 60 pounds and can be stored without replacing other garage equipment. Yet the nozzle requires frequent cleaning to prevent it from malfunctioning. Also, you might need spool gun for welding soft aluminum material. When doing this review, the Everlast PowerPro 164Si was in comparison with similar welders on the market today. 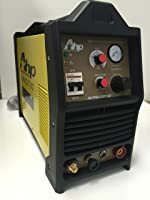 People compared it with the 2016 AHP AlphaCut and Esab Rebel EMP 215ic for MIG/TIG/Stick. These two cutters are more expensive than the Everlast. The Everlast 164Si plasma cutter is ideal for metalworkers, welders, and fabricators. It has a heavy-duty design to suit professional use in your garage or shop. 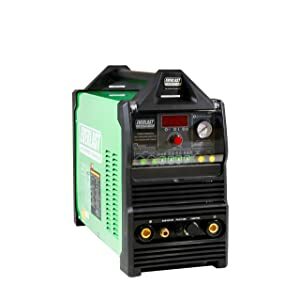 Moreover, customers are using this welder for different works like repairing broken housing and car parts. You can also use Everlast PowerPro 164si for plumbing works and it can tig some thin material with ease. The Everlast Powerpro 164 Si plasma cutter will help you to have your gouging and cutting jobs done faster, more reliable and a low cost. Customers say that this machine is delivering great results for a wide array of jobs and it’s simple to use. 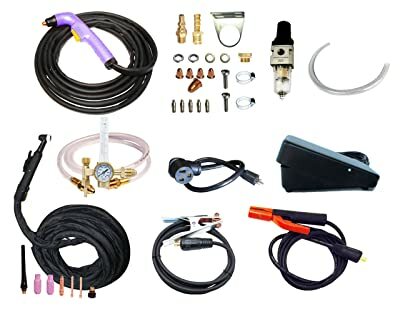 You can consider this plasma welder for all your professional jobs. Based on its features, the Everlast Powerpro 164 is worth every single penny.